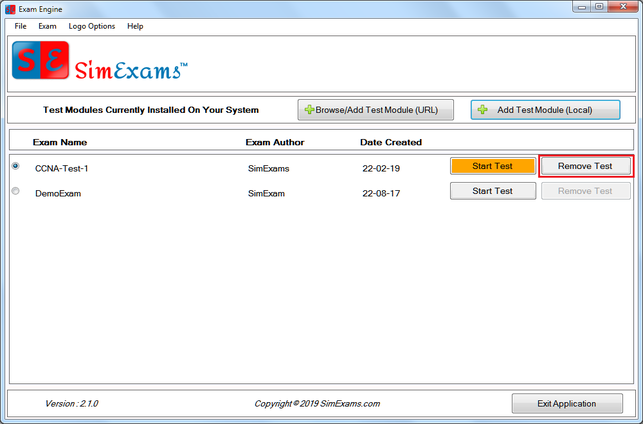 Remove Test Module : This option allows the user to remove a Test Module already present in Exam Engine. Click "Ok" to continue. 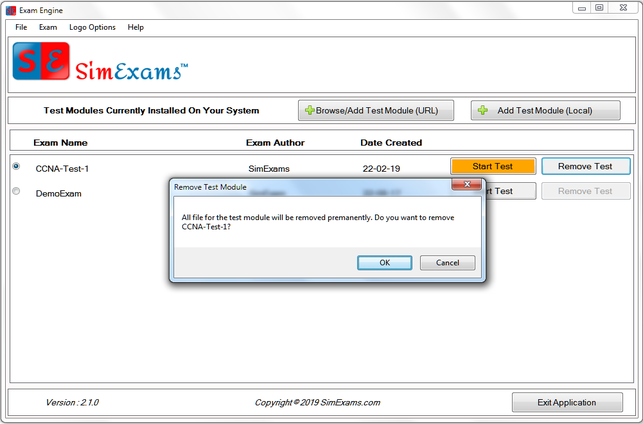 Once the Test Module is removed successfully a message will be displayed for same. Click on "Ok" to continue. 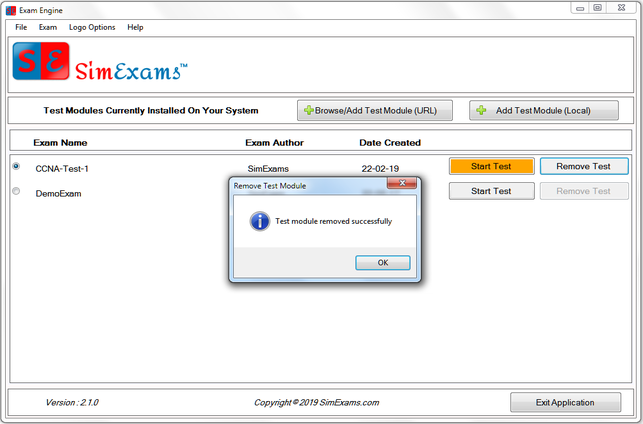 Please wait few seconds for Exam Engine to update and remove Test Module. 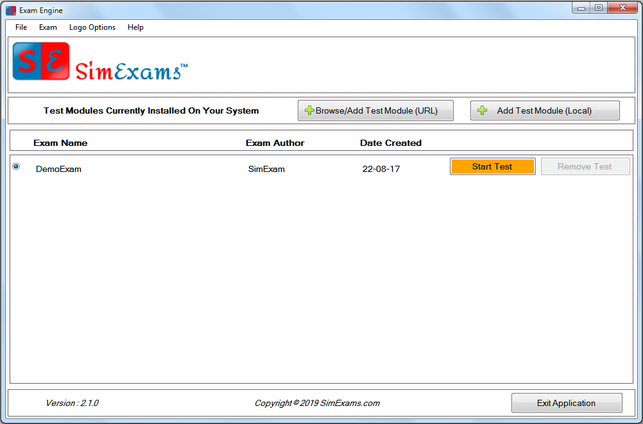 Removed Test Module will no longer show in Exam Engine. Click on "Ok" to continue. Please wait few seconds for Exam Engine to update the Test Module.